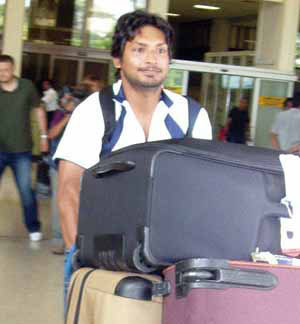 Former Sri Lankan cricket captain Kumar Sangakkara returned to the country earlier today following the conclusion of the teams tour of England. Commenting on his speech at Lords which earned him a standing ovation, the former skipper said he spoke with regard to the better interest of the people and the spirit of the game. 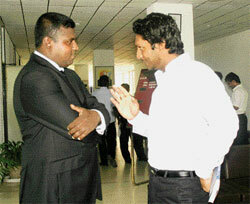 “There was no hidden agenda, what has to be said must be said,” he declared shortly after arriving at the Bandaranayake International Airport (BIA). 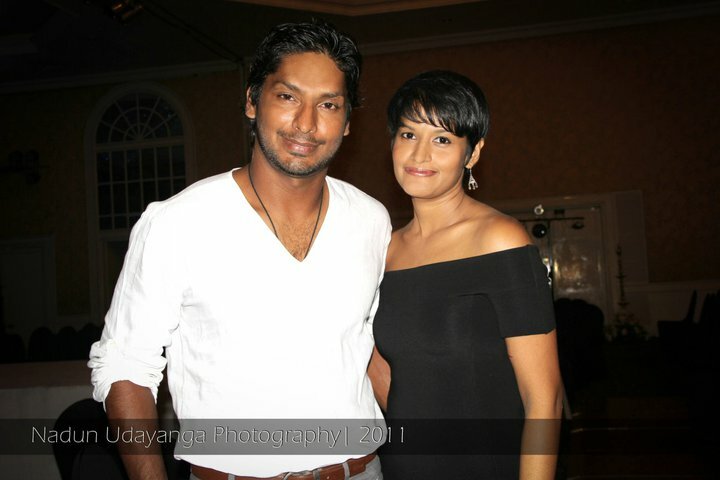 Sangakkara was accompanied by skipper Tillekeratne Dilshan. For all its charm, tradition and history, Lord’s can be a funny place. If your skin is dark, stewards tend to tell you, ‘Oi! Where do you think you are going?’ But the spellbinding speech of Kumar Sangakkara the other day at Lord’s is sure to turn things around completely. That Monday evening itself, after Sangakkara delivered the Lord Cowdrey Lecture on the Spirit of Cricket, there was a remarkable change in stewards’ attitude. ‘Excuse me sir, can I help you?’ A complete turnaround within an hour! Eight Lankans have scored hundreds at The Home of Cricket, but the greatest knock of them all was played off the pitch by Sangakkara when he delivered the annual Lecture. The handful of Lankans who were present at Lord’s on Monday, including former Board Chairman Vijaya Malalasekara, were almost in tears – the sheer brilliance of the speech proved so emotive. 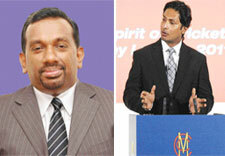 It was a moment of glory for all Lankans. The British agreed too. The standing ovation one of our own received from the guardians of the game lasted for more than a minute. What more do you want? His speech will be spoken about for many years to come. Read the rest of this entry ? * ‘Kumar Sangakkara proves his blade can be mighty as his words” — David Hopps in The Guardian, 6 July 2011. * “Eight Lankans have scored hundreds at The Home of Cricket, but the greatest knock of them all was played off the pitch by Sangakkara when he delivered the annual Lecture. The handful of Lankans who were present at Lord’s on Monday, including former Board Chairman Vijaya Malalasekara, were almost in tears – the sheer brilliance of the speech proved so emotive” … Rex Clementine in the Island, 9 July 2011. Read the rest of this entry ? BRIDGETOWN, Barbados, CMC – In spite of the current perilous state of West Indies cricket, the Barbados Prime Minister David Thompson is not favouring too much government intervention in the problems surrounding the sport. A bitter contractual dispute between top flight players and the West Indies Cricket Board (WICB) has crippled the sport in recent months but Thompson believes the region should tread carefully with government intervention on the issue. “The furthest you can keep political meddling out of West Indies cricket, the better,” Thompson told reporters at a news conference on Thursday afternoon. Last month, CARICOM proposed a six–point plan aimed at ending the bitter dispute but Thompson’s personal view is that government intervention should be limited. “We have a very important interest collectively as Caribbean people in the success of the West Indies cricket team, but I’m not sure that too much involvement by political leaders, other than at the philosophical level and perhaps even at the level of broad direction, is desirable,” he said. Thompson suggested that political intervention could negatively impact other areas of the game including team selection. “I know where those things lead. There are some countries that will take the position that once they make a contribution that they should have a player on the team. You will start to hear that,” he said. “People will start to argue that the team should have 11 members, one from each territory, or other permutations,” he said. Read the rest of this entry ? for 120 runs from 127 balls; his innings featured 10 fours and three sixes. 138 which featured nine boundaries. Read the rest of this entry ? You are currently browsing the Critiquing Cricket blog archives for July, 2011.